SMALL BUSINESS COMMUNICATION SOLUTIONS. A single place to manage projects, assign tasks and track action items. Click on the free trial button. Click on the sign up link to create a new account. Enter email address or phone number. 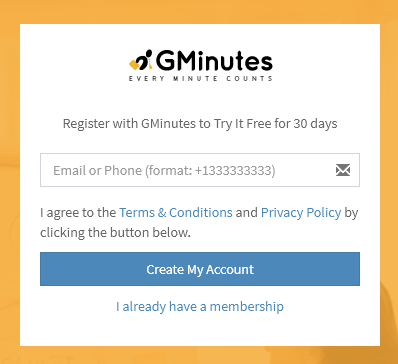 You will get an "Account Activation" and "Get Started with Gminutes" email/sms at your specified email address or phone number from the Gminutes team. Set up your password once your code is verified. Work Space is a space provided to you where you can make various different groups, invite people, set roles for them and then schedule, write and track your meetings. You can be theowner of a single work space and at the same you can be member of as many work spaces as you are invited to. 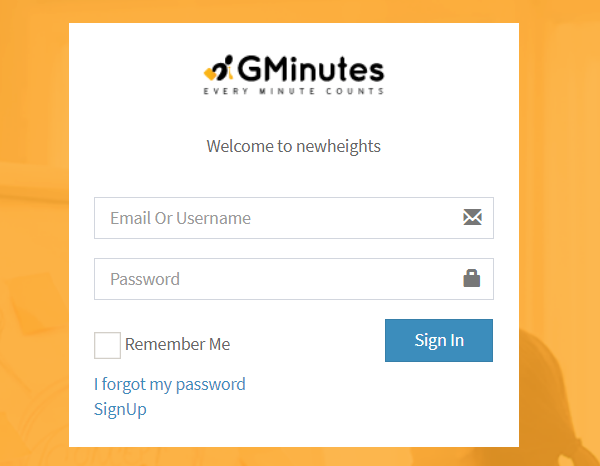 Gminutes provides a single work space to make use of all its attributes in a well defined manner. 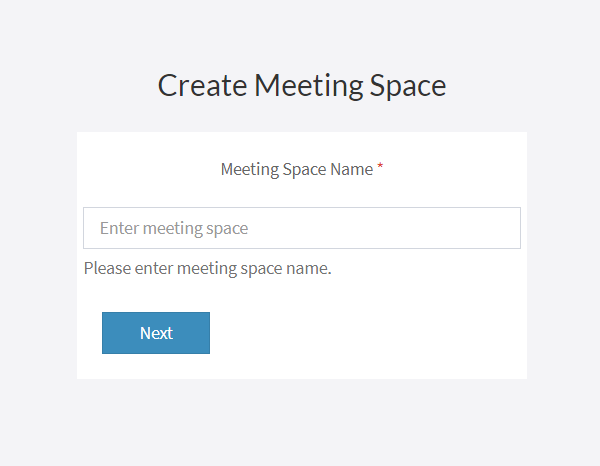 Specify name of your work space and your account is created. 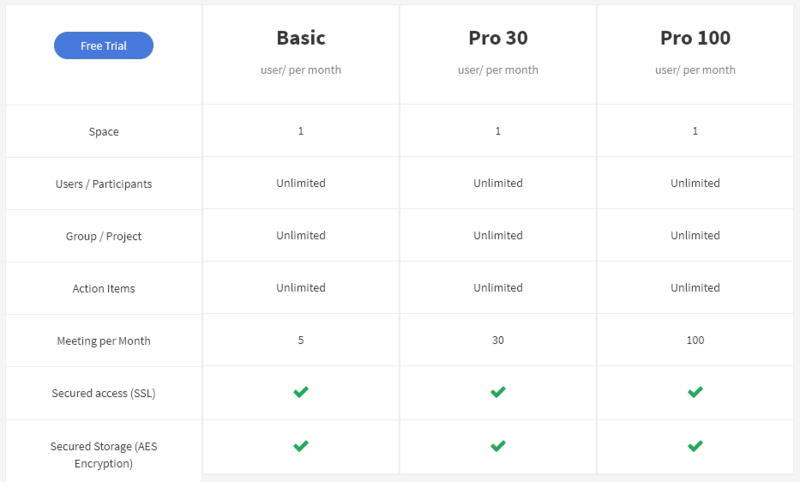 Select the subscription plan best suited for you! 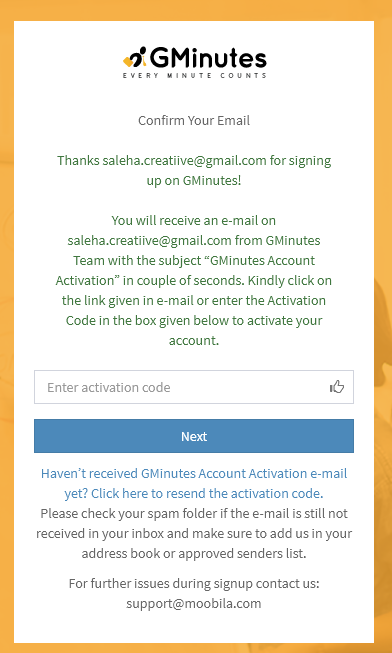 You will get an "Account Activation" and "Get Started with Gminutes" email at your specified email address from the Gminutes team. Note: If you are unable to proceed after pressing "Create My Account," check the highlighted errors with the asterisks, fix them and then press "Create My Account" again. Manage Projects, Tasks, Meeting Notes and Action Items from Anywhere, Anytime!